The Russian authorities are systematically violating the rights of political activists through arbitrary arrests and detentions in a fierce crackdown ahead of the presidential elections on Sunday, human rights NGO Amnesty International stated. 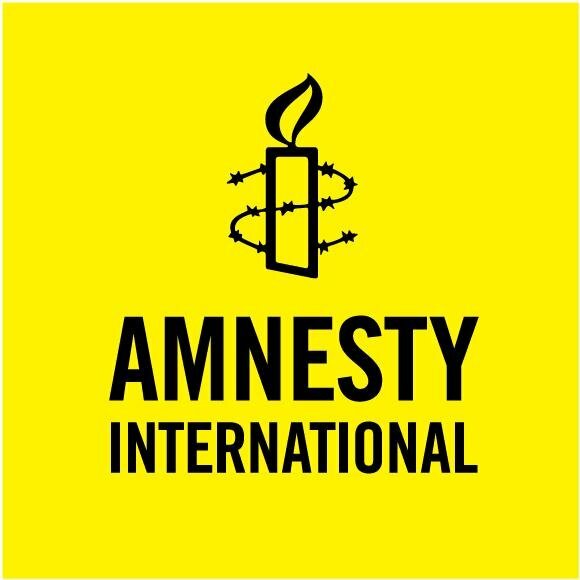 On Russia’s increasing restrictions on peaceful protests, Amnesty said that the authorities are using draconian laws to prevent public assemblies while deliberately targeting activists who’ve called for a boycott of the elections this weekend. The crackdown has seen prominent opposition figures arbitrarily detained and charged with politically-motivated offences. The election boycott is championed by anti-corruption campaigner and prominent political activist Alexei Navalny, who has been barred from running for president. In recent weeks, the authorities have targeted his supporters through a range of punitive means, including arbitrary arrests and detention. Navalny’s campaign chief, Leonid Volkov, was detained in a Moscow airport on his way to the city of Ufa on 22 February. Later that day, he was sentenced to 30 days’ administrative detention for organising an “unauthorised gathering”. 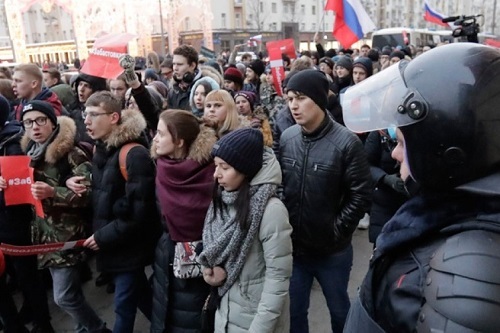 The charge referred to the 28 January “voters’ strike” rallies held in more than 100 Russia cities in support of the election boycott. In Moscow, the city authorities arbitrarily refused Navalny permission to hold a rally in the city centre, and he and dozens of his supporters were briefly detained. According to the police, Volkov’s role in the organisation of the Moscow rally consisted of two re-tweets indirectly encouraging people to attend. One was of a tweet originally posted by Navalny during his detention at the demonstration in Moscow, while the other was a link to a live webcast of the events. Meanwhile, Navalny’s headquarters’ coordinator in St Petersburg, Denis Mikhailov, was detained on 31 January for 30 days after a “voters’ strike” event in the city, which was also banned by the authorities. Initially held for calling for “an unauthorised gathering”, he was released on 2 March before being rearrested later the same day, this time for “participating” in the St Petersburg event. He was sentenced to 25 days in prison. Meanwhile, at least two more prominent activists were arrested in St Petersburg in similar circumstances. The St Petersburg coordinator of the Open Russia movement, Andrei Pivovarov, was sentenced to 25 days’ administrative detention on 28 February. A few days before his arrest, Pivovarov wrote on Facebook that he thought he was under surveillance. On 26 February, Artyom Goncharenko, a member of another opposition movement, Vesna (Spring), was given 25 days’ administrative detention for displaying a giant inflatable duck in his apartment window when the protest rally was passing by. In recent months, yellow ducks have become a popular opposition symbol in Russia. “This election campaign has been marred by widespread attacks against President Putin’s critics, and reprisals aimed at intimidating opposition activists into silence are becoming cruder as polling day approaches. “The Kremlin’s agenda is crystal clear – the loudest protesters and vote-boycotters must be cleared from the cities’ streets during the final stages of the presidential campaign. “While various methods are used, the authorities usually turn to their favourite one: arbitrarily throwing dissenters behind bars.